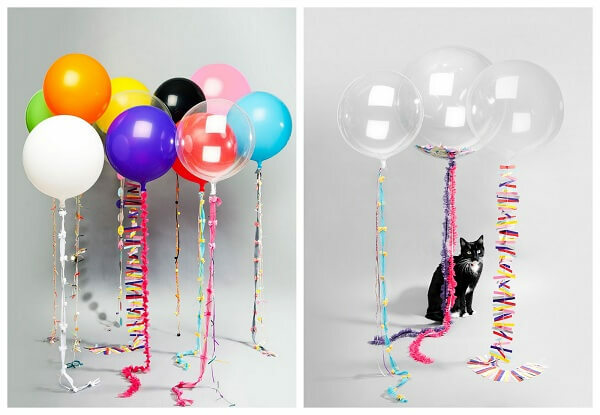 How To Make Balloon Decorations Without Helium? Balloon decorations are always going to be on trend, and no matter what the function it is, balloons are the required things. There are top balloon decoration ideas are available to decorate your venue using balloons. Helium is avoided because it can explode and flying. Balloon decoration is getting popular these days and decorations are getting creative day by day. Now people are using balloons creatively for the weddings and birthdays. With flying cameras and drones, the overall balloon decoration looks even more beautiful. Balloon decorations with helium are expensive, and downside of helium is that it doesn’t make balloons to stay up for long. The balloons should be inflated on the day of the event so that they can be used for decoration. It’s much better to use oxygen, like good old days. Oxygen is better to alternate and inexpensive. There are various decoration ideas you can do at your event, let’s head to these. It is the most common design and the most famous also. Balloon arches are usually found at the entrance of the wedding or an event. You can try new colors and ideas to it. Combination of color that better represent the event will work. It creates a vibe on the entrance makes the environment ever more fun. You can make balloons to stick against the wall, and make it as a photo shoot point for the event. The concept is to make a spot where people can have their pictures and admire the decoration. Wedding couples can have their photos there and make the day memorable. There are so many ways you can use that wall. Since the balloons don’t have helium in them, you can safely use them on the food tables, where they look nice and also, set the feel of the event. You can use various ribbons around them, flowers and make the whole table look elegant. Food tables usually are the center point of an event, and if you can make them look good, you can stay inside every guest’s hearts. You can tie long chains of balloons with the strings and spread them all over the venue. This will create the unique feel, and having balloons all over the place is just nice. Use bamboo sticks to make the balloon strings stand, and that can steal the show. If the event is held in an indoor space, then you can make the whole room full of balloons and make the roof look fancy. This is a unique way to decorate the event space and will create magic with lights. You can also stick some balloons on the wall and make it balloon. These without helium balloon ideas are going to work and bring the charm to your event. Balloon decorations are going very trendy, so why not be the part of it and make them happen.